South Florida’s leading real estate development firm, Shoma Group, has announced its first residential development in Miami Beach, Eleven on Lenox, located at 1030 15th Street, Miami Beach. 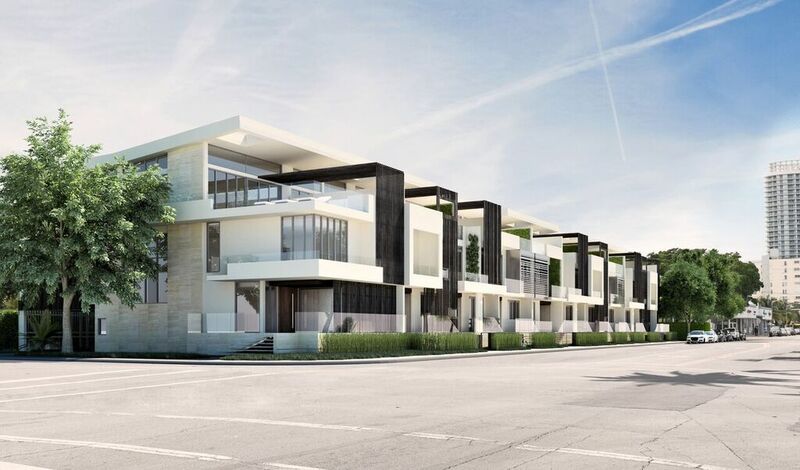 Eleven beach houses will be built in one of South Beach’s most popular neighborhoods. According to the developer, the beach houses will convey style and exclusivity. The development is located within walking distance to popular shopping and dining attractions, as well as the museum and art district. Starting just under $3 million, the beach houses will range from 4,403 to 4,669 square feet – excluding outside terraces and balconies. The units and community will offer an array of amenities: private parking garage, four parking spaces, a private elevator, summer kitchen, plush private pool, custom Italian spa bath, Poliform kitchen with Gaggenau appliances, a rooftop terrace, and smart lighting system that adjusts to the day’s flow. Eleven on Lenox was designed by acclaimed urbanist architects Zyscovich. The firm designed the beach houses by re-imagining the average beach house and giving it a new concept. The luxury amenities, entertainment spaces, and living spaces have been placed on the top floor of each residence to give buyers a great view of South Beach and to capitalize on nearby projects. All bedrooms and guest spaces were designed with privacy in mind. Interior designer Charles Allem envisioned and helped realize this project. Shoma Group is keeping busy with ten current projects underway.